Hello everyone! We’re super thrilled to introduce author Lydia Lukidis to all our listeners on the Reading With Your kids Podcast. Lydia is an author, creator and conceptual artist. Her passion for reading and writing began at a very young age when she started composing poem after poem in her journals. She later acquired her Bachelor degree in English Literature from McGill University and her love for the written word continued to grow. Lydia fuses her creativity and skills to educate, inspire and entertain children. Her mandate as an artist is to provoke thought and feeling while having a positive impact on children. 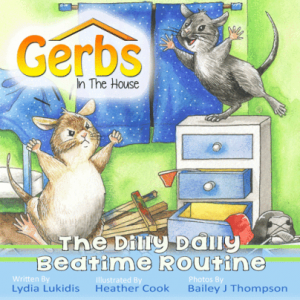 Her first book in print is the picture book Gerbs in the House: The Dilly Dally Bedtime Routine. In addition to her creative work, she also composes educational activities, workbooks and curriculum based texts for children. Her background is multi-disciplinary and spans the fields of literature, theatre and puppetry. Lydia has co-written and co-produced five plays for Panadream Theatre, a company she co-founded in 2007. As a puppeteer, she toured extensively spreading joy to children from all walks of life. 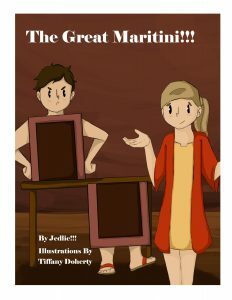 The Dilly Dally Bedtime Routine is the fourth installment in the Gerbs in the House series; a story about an ordinary bonded gerbil pair leading an extraordinary life in an Old Victorian Dollhouse found in their family’s basement. The humorously relatable book explores the reality of bedtime; Mocha says it’s time for bed, but young Petri wants nothing to do with it! Reading books, singing lullabies and juggling plates are only a few of the things Mocha does in an attempt to tire his son out. Although Petri is entertained, he still refuses to sleep. He just wants to dilly dally! Worn out by his son’s shenanigans and silly antics, will Mocha ever get Petri to bed before losing his marbles? 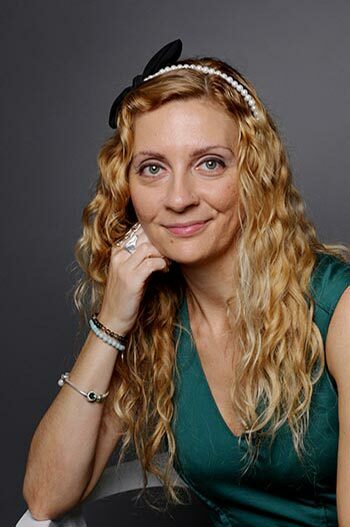 In this interview, Lydia talks about her books, her inspiration for writing children’s stories & describes her journey as an author, spending many years as a puppeteer, writing children’s plays and performing in them before becoming a writer. She also shares insights on what kinds of stories children enjoy reading, and the advice she would give to youngsters who don’t like to read & and announces some exciting news about her upcoming books. Be sure to listen this episode & you will be amazed to find out what Lydia has to say about The Dilly Dally Bedtime Routine! Read Next100th Episode Special: Legends of Erin Series!! !